Napoli have rejected an initial approach from AC Milan for Tottenham Hotspur and Wolves midfield target Amadou Diawara. 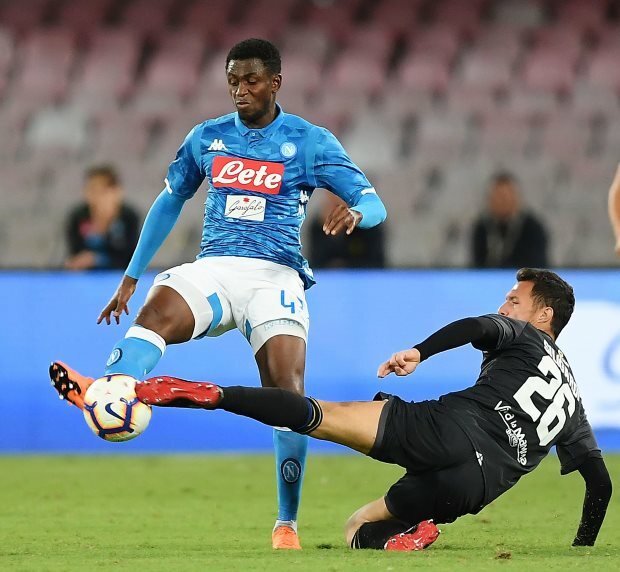 Diawara’s future at Napoli has been subject to much speculation due to interest from several clubs in his services in the January transfer window. The midfielder has fallen out-of-favour under Carlo Ancelotti this season and is said to be considering the possibility of leaving the Serie A giants this winter. Tottenham have been keen on Diawara, but Wolves have been leading the interest from the Premier League in recent weeks. There is interest from Italy though, with AC Milan pushing to land his signature. According to Sky Italia, the Rossoneri have touched base with Napoli and offered to sign the player on a loan deal with an option to make the transfer permanent in the summer. Napoli rejected the offer and are claimed to have asked AC Milan to return with a different formula for the move. The Serie A giants are prepared to sell the player in a straightforward transfer deal or consider loan offers with obligatory purchase options. AC Milan are back to the drawing board and are considering their options for Diawara, and it remains to be seen if Wolves soon try their luck.